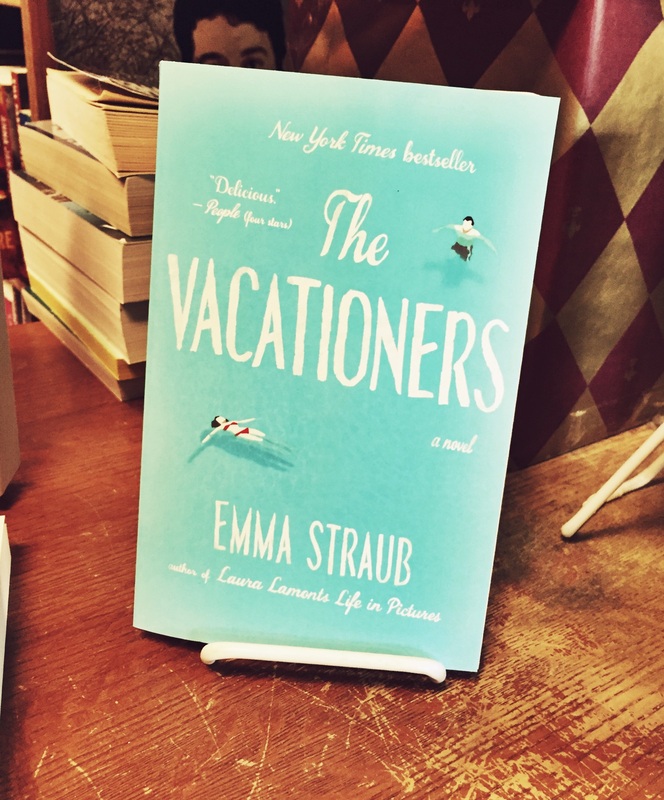 Despite seeing The Vacationers by Emma Straub on many fiction recommendation lists, I’ve also heard from many of my friends that they couldn’t finish it. Despite these non-recommendations, I decided to take a swing at it myself. Warning – there are a few spoilers in this review, nothing to give away the whole plot, but enough to explain my review. The Vacationers runs pretty much how one would expect based off the title. This is the story of the Posts, a family traveling on a predictable vacation and while being cooped together, drama inevitably arises. What disappointed me the most about this book was how predictable each character is. First there’s the moody teenage daughter who is uncomfortable in her own skin and thus criticizes everyone else throughout the entire trip. Then you have the verging on 30-year-old son who is not only an immature bimbo, but he has gotten himself $150,000 dollars in debt. Next up we have the father, who so predictably cheated on his wife with the blonde (of course she is) 23-year-old assistant at his office. Lastly, there’s the mother. Cheery Franny puts on a brave face in front of her children while giving her husband the cold shoulder (rightfully so) behind closed doors. As with most family vacations, the characters were forced to spend time together and to face their problems. In a feel good ending, the Post family finds their way back to each other. All in all, a fine story, but I did get through to the end of the book and that’s worth something. I’ve heard mixed reviews about this one! This wasn’t my favorite read, but I can understand how some would enjoy it as a light book for the beach.